What are Progressive Web Applications (PWA)? During the Imagine 2018 conference back in April, Magento announced the release of Magento 2.3 by the end of 2018. After much of a wait, Magento has released the Magento 2.3 on November 28, 2018. It has been almost a year since the last major release of Magento 2.2 but Magento 2.3 has brought a ton of new core features with a lot of smaller optimizations. Let’s have a closer look at them. Progressive Web Applications (PWA) is the future of web app development. PWA with Android Instant Apps is the next advancement in web industry after Responsive Web Design. Progressive Web Apps uses progressive enhancements that offers features similar to a native mobile application. Progressive Web Apps and Android Instant Apps combined together lets you create beautiful apps with material design and animations without the need of installing them on any device. Have you ever encountered a popup while browsing a website on mobile device saying “ADD TO HOME SCREEN”? When you click on the button, the application installs itself in the background. Now that application shows in your app drawer and offers the experience of a native mobile application. The app was downloaded from a web application without seeing the face of a Play Store or App Store. Isn’t it great!!! These PWA apps offer offline access to the content without the need of an internet connection. The Magento PWA Studio is a collection of tools that allows development, deployment, and maintenance of a PWA application on the top of Magento 2. GraphQL capabilities are required with Magento PWA Studio which is only available in Magento 2.3 release. GraphQL is a query language for APIs. It is one of the modern technique to build and query API. In simple words, GraphQL is a syntax that addresses how to ask for data from a server and helps in loading data to a client. It gives a chance to the client to determine precisely what information it needs. It makes easier to collect information from numerous sources. It uses a type system to describe data. One of the biggest moves in Magento 2.3 is the introduction of GraphQL API Language. GraphQL is more powerful, flexible and efficient than the REST API. Magento 2.3 executes GraphQL as an elective API endpoint in addition to REST API and SOAP API. GraphQL opens up data retrieval possibilities for PWAs by allowing to request precise information that you require. It means that you can get a smaller amount of data more efficiently with the lesser number of API requests. 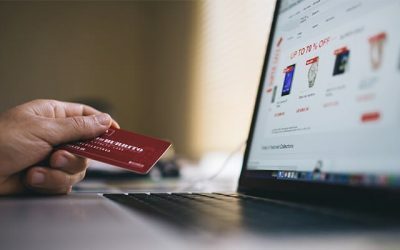 It allows Magento PWA to be quick even on slow mobile network connections. In the previous Magento version, altering schema of a Magento database can be accomplished using InstallSchema and UpgradeSchema classes. However, Magento 2.3 implements it using declarative database schema. In Declarative Database Schema, instead of defining database structures and changes with install scripts, altering schema is accomplished using XML file. Magento converts the XML file into SQL queries and runs them. The major advantage of using Declarative Database Schema is the rollback support. Now you can easily rollback to a previous version of a module or functionality. Declarative Database Schema also greatly simplifies the Magento installation and upgrade process. Asynchronous API enables Magento to process a large number of API requests asynchronously without waiting for server response. Thus it offers a huge advantage over traditional API approach, where the client has to wait for a significant amount of time to get a response until all the requests have been processed. The video demonstrates a demo of the working of asynchronous API over message queue. Elasticsearch is an open-source, scalable, enterprise-level search engine built on Apache Lucene. Elasticsearch offers powerful and fast searches and is commonly used for log analytics, business analytics, text-based searches and more. With Magento 2.3, Elasticsearch is now available to Magento Open Source users while previously being exclusive to Magento Commerce. Elasticsearch will offer merchants to integrate powerful search engine capabilities in their web shops. PHP 7.2 support has been added to Magento 2.3 thereby offering more stability, security and enhanced performance. As PHP 7.2 removed the support for PHP encryption module ‘mcrypt’, now Magento 2.3 has moved from mcrypt to libsodium for password hashing. Another addition to Magento 2.3 is Multi-Source Inventory (MSI). Now merchants can manage their inventory without the need of third-party extensions. MSI enables merchants to manage inventory from multiple locations by adding their physical warehouses in Magento system. Also, MSI improved the checkout performance by adding a reservation system to the checkout process. Now instead of decrementing the stock from the inventory at the time of checkout process, it is reserved within the new table structure. It helps the unnecessary database locking and also helps in keeping the inventory amount up-to-date during peak order times. Magento 2.3 has upgraded the TinyMCE editor from version 3 to version 4 introducing new enhancements. Widgets, Media Gallery are now implemented as plugins. Page Builder is no doubt the most anticipated feature of Magento 2.3. Now you can easily create a page with the drag and drop functionality without having to write the code using Bluefoot CMS extension which Magento bought a long time ago. Bluefoot CMS extension includes features such as drag and drop layout, template creation, clean UX, and friendly to a non-technical user. Page Builder is now a core part of Magento Commerce 2.3 and is available for purchase to open source users inside the Magento marketplace, however, the pricing is still unknown. Magento 2.3 adds the functionality of administration access control for system cache. Now you can easily define roles for users as who can view and delete Magento cache and what level of Cache Management a particular user can perform. Magento 2.3 introduces Two Factor Authentication which has now become a standard for every web application. Now you can easily protect your Magento Admin panel from malicious attacks by adding the extra level of security. Magento also introduces Google reCAPTCHA which is a free service from Google to protect your website login, registrations, contact pages etc. Google reCAPTCHA will now come native in Magento 2.3. So that’s all what Magento 2.3 has to offer. A big applause to the Magento Core Team and all the contributors to the Magento community for their hard work. Do you still have any doubts? Request a callback from our certified Magento experts. VT Netzwelt is an award-winning Indo-German Magento development company. Being Magento Certified Agency, we offer first-class Magento development services to our growing clientele of renowned multinational organizations. Regardless whether you’re looking to build a new Magento store from scratch, custom Magento development or want to enhance your existing site, our long-term experience, rich toolset, and vast industry know-how makes us your preferred Magento partner. VT Netzwelt is an internationally-recognized brand for the development of sophisticated web and mobile applications who is working for premium segment clients worldwide. Our team possesses valuable technical certifications in Project Management, Magento, and Quality Assurance. Is it stable version to upgrade Magento 2.3 from 2.2? Magento PWA features gives app-like experience. Do we still need to create a native-app? Hi Manohara, PWAs are still at a very early stage and we can’t think of them as a replacement to native mobile apps as of now. PWAs can serve as a faster mobile-web experience but it can’t compete for the feature-rich experience of a native mobile app. But anyhow, these trends will definitely change in future. How to develop apps for foldable phones? 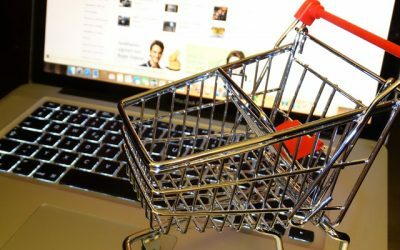 Why Magento is best for your eCommerce store? 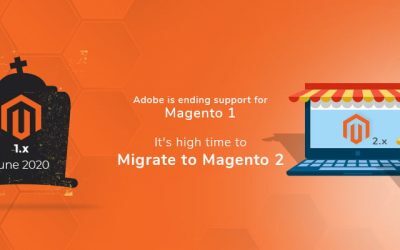 End of life for Magento 1, Is your store future ready? © Copyright 2008 - 2019. All Rights Reserved. Please fill in the details and our representative will be in touch with you shortly. Success! : Thank you for contacting us. You are very important to us, all information received will always remain confidential. We will contact you as soon as we review your message. Send us a quick message with details about your project and we'll get right back to you.